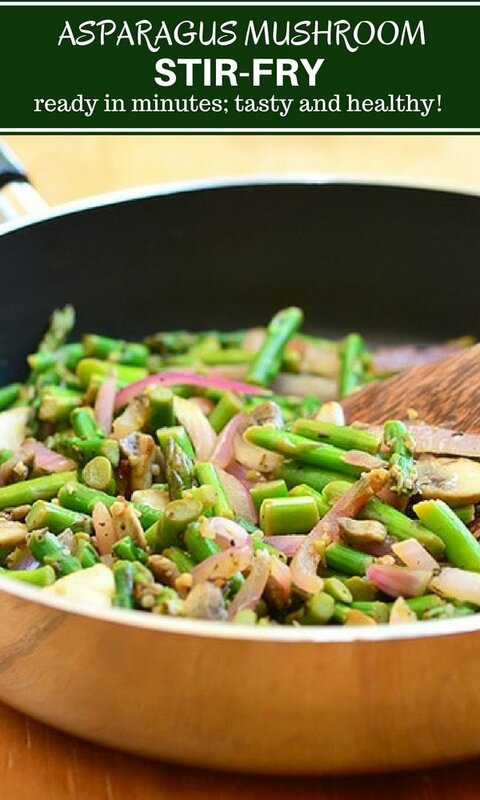 Asparagus Mushroom Saute with tender-crisp asparagus, cremini mushrooms, and red onions stir-fried in garlic and herbs. Ready in minutes, it’s the perfect weeknight side dish yet fancy enough for company. Asparagus is of our favorite vegetables, especially during Springtime when they are in abundance and at their finest. 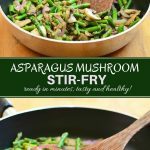 Tender green spears are a snap to cook, versatile, and healthy to boot! 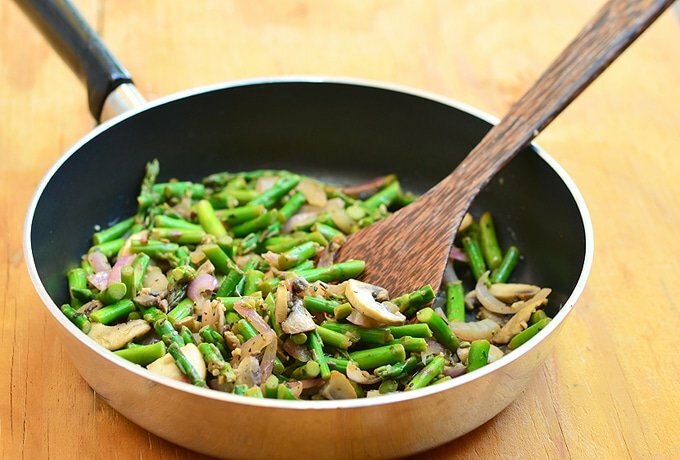 If you’re looking for an everyday side dish that’s fancy enough for company, this sauteed asparagus and mushrooms recipe is ready in minutes yet packs great flavors. 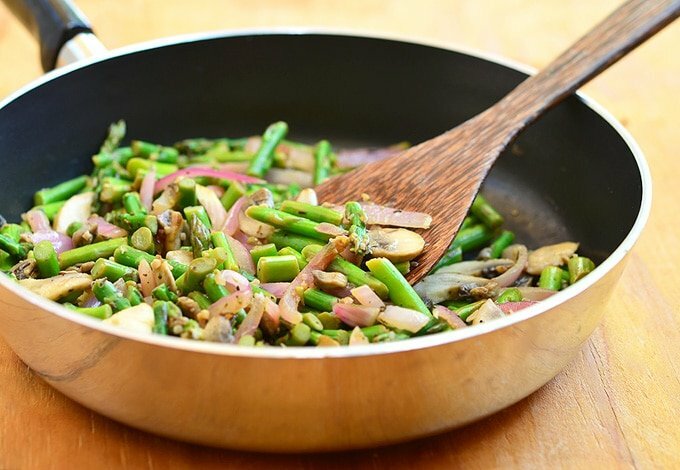 What is the best way to cook Asparagus? Garlic Parmesan Roasted Asparagus-roasting brings out the natural sweetness of vegetables plus copious amounts of garlic and Parmesan takes this dish over the top! 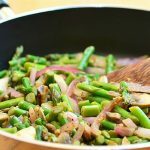 Cooking on the stove is one of the easiest and simplest ways to prepare asparagus. 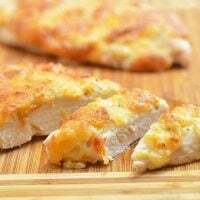 It takes less than ten minutes to get them tasty and tender-crisp! Depending on young and tender the asparagus, cut about 2 inches from the stem and slice each spear into 2-inch pieces. 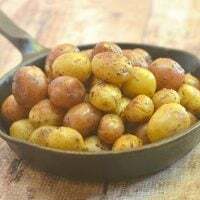 In a wide, heavy-bottomed skillet over medium-high heat, add butter and olive oil. 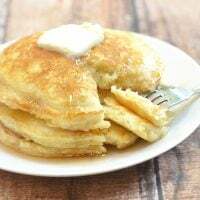 When butter begins to melt, add garlic and cook, stirring regularly, for about 30 to 35 seconds or until aromatic. 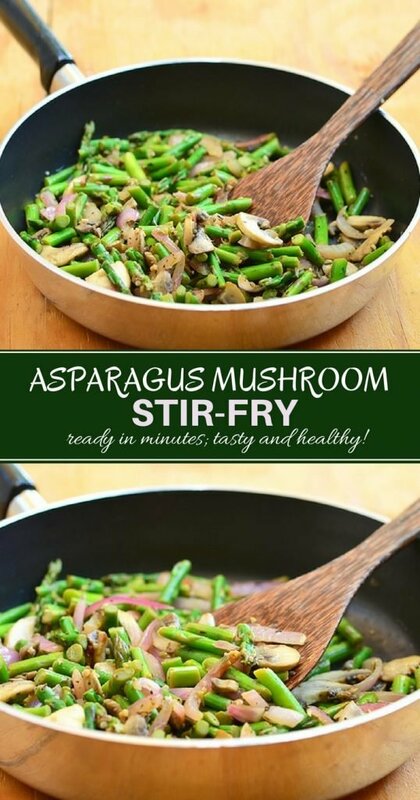 Add asparagus and continue to cook, stirring regularly, for about 5 to 7 minutes or until tender yet crisp. Add your choice of herbs. Season with salt to and generously with freshly-ground pepper. 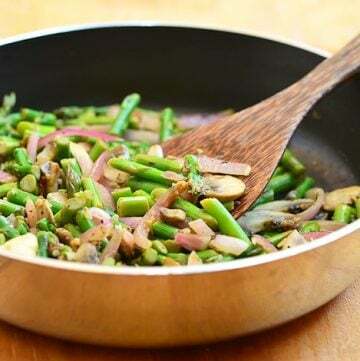 Asparagus Mushroom Saute with tender-crisp asparagus, cremini mushrooms, and red onions stir-fried in garlic and herbs. Ready in minutes, it's the perfect weeknight side dish yet fancy enough for company. Cut about 2 inches from the stem and slice each asparagus spear into 2-inch pieces, leaving tips intact. Add red onions and mushrooms and cook, stirring regularly, for about 2 to 3 minutes. Add chopped rosemary. Season with salt to taste and generously with freshly-ground pepper. Serve hot. This was good! I added to the recipe chopped fresh spinach, cannaloni beans and more garlic, lemon pepper and crisped chopped Canadian….all things I had on hand and wanted to use. I served this dish with broiled salmon marinated in a mixture of Italian style fresh herbs and a vinaigrette. It was delicious! Thanks for the inspiration. Thanks for the feedback, Cattknap. 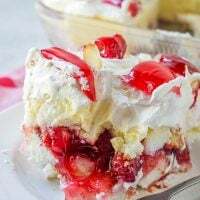 I am glad you enjoyed the recipe. Your dinner sounds amazing!